Road trips are one of the best adventures you can take – if you’ve planned effectively enough. Gathering all your necessities and hitting the open road is wonderful way to utilise your car and your money. A lot of travellers see road trips as a fantastic alternative to expensive international travel and rightly so. Planning for a road trip can cover many different areas, but you’re not likely to go wrong if you have everything you need available. At Mercury Cars, we come across many drivers who have experienced some incredible road trips across the UK. 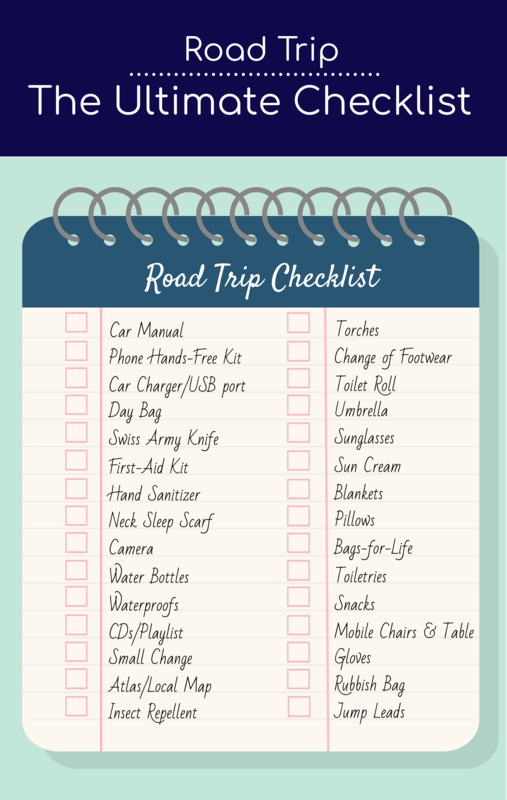 We’ve delved into their stories and decided to come up with an ultimate road trip checklist. 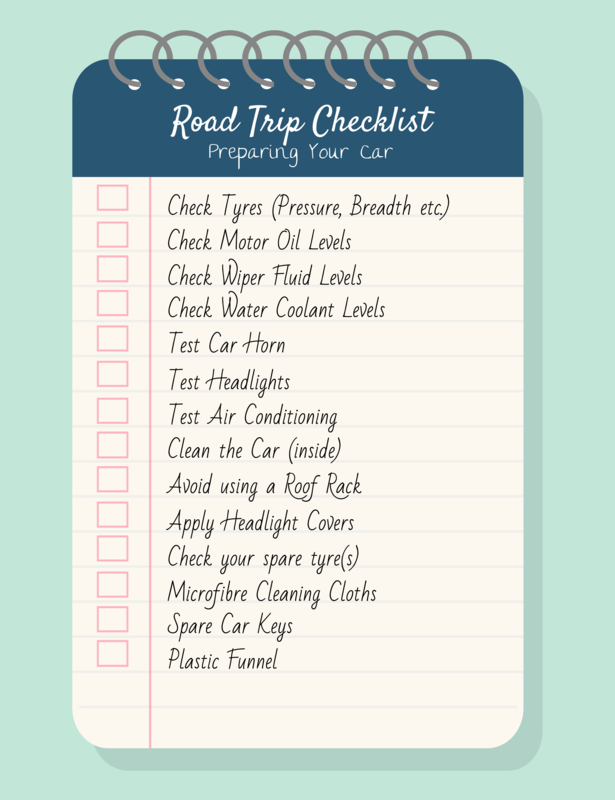 Two checklists: one for items and one for car checks. 44 things to remember! With this, you’ll have everything you need to get your wheels on the road without a worry. There could be an unseen problem. Make sure you’ve got your motor’s manual handy to discover the fix. It’s illegal to use your phone when driving, so make sure you sort a hands-free kit to control any incoming calls or texts. A necessity in modern times, a US charger should always be available. It will be your main source of charging mobiles and other electronic devices, so it’s a good idea to purchase one with multiple USB ports. Pack all the everyday accessories that you need into here. Things like maps, snacks, water and other travelling items. Perfect for the general handyman work, so make sure you have one available during small tasks. If you are somehow on the receiving end of a painful knock or injury during your travels, you will always need a first aid kit handy. You never know how or when your hands are going to get dirty, so you don’t want to be wasting your water cleaning your hands all the time. Perfect for the cosy car sleep. You’ll want to capture your journey with the best images possible. Large water carriers are perfect to share out, especially if you buy one with a proper water dispenser. Necessary even on a summer road trip! Being wet and miserable is never fun! This is one of the first things you should think about when you know you’re going to be in a car for a lot of this journey! For tollbooths, services and other emergencies, make sure you cash out enough small change before hitting the road. Planned your trip out along each route? Make sure you have the local map handy. Always feels good being able to orientate yourself well. Many forget this, but most will be cursing their memory when the bugs are biting. Torches are great for travelling at night, in addition to any electrical black-out. Make sure to remember additional batteries. You need footwear to relax in, footwear for soft ground and also footwear for hard ground (i.e. walking boots). Make sure you’ve got them all covered. These can also be utilised as a tissue when needed, in addition to toilet related emergencies. Many wished they’d brought an umbrella when the weather turns wet and windy. Always have one available. You need UV protection for your skin wherever you go in the sun. Don’t have a motel or camping kit for the night? Rustle up some blankets, organise the car and kip in your own motor bed! You’ll want these for car snoozing. Something we all seem to forget. A bag-for-life can also mean a bag-for-the-road. Well, maybe not, but you won’t want too many plastic bags hanging around and neither will the environment. Toothbrush, toothpaste, shower gel, shampoo etc. Get yourselves some tasty filling treats for the journey. Guaranteed to pick a person’s spirits up. Being able to stop the car and create your own small camping space is a wonderful feeling. The best part is, these items usually fold up incredibly well, so they’ll be plenty of room. Tough gloves or warm gloves – you’ll need these to protect your hands! Don’t chuck your waste! Pop it all in here and dispose of it economically. These quality leads have been known to save many marriages. Avoid stuffing luggage onto a roof rack. Doing so can slow your vehicle down and make your engine worm harder, using more fuel. Apply headlight covers in the case of splattered bugs or other flying bits from the road. Bring microfiber cleaning cloths for cleaning dirty windshields, spills, etc. Get a spare set of car keys and keep these in your wallet for emergencies. Bring a plastic funnel to pour fluids through. If you wish to download our roadtrip checklists from PDF format, then please see them below.